If you're looking for a crossover SUV with equal measures of luxury, technology and affordability, the 2011 Nissan Murano tops a very short list. This has been my dream since they came out with them, I finally got it. It is a beautiful convertible! It is my very own dream car, I wanted a Murano before they came out with the convertible. My husband showed me one on the internet and it was my dream car. It has all the gadgets but I don't know how to use them yet. I have only had my car for about 6 months. There is a problem with the trunk. It opens up when the car is turned off and then we also cannot put the top down. It is a plush car. I do not buy brand new cars anymore. And the last thing I want to say about is they did not make many convertibles of this model so it is hard to find a repair place to have it serviced. it is a great vehicle for a single person or family because you have plenty of room for passengers and for cargo like luggage and groceries. Love it because: spacious for everyone to be comfortable when traveling locally and/or out-of-state. great on gas mileage, especially on the highway. great handling for the driver due to great aerodynamics, air flow over and around the vehicle when in motion. Dislike it because: not really dislike; however, disappointed it was equipped from the manufacturer with the backup camera. was told by the dealership mechanic not good to put equipment on a vehicle after it is manufactured because your warranty could be voided in case of a problem. No complaints. 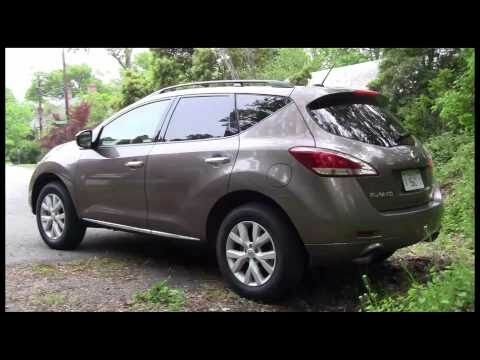 The Nissan Murano is a great and reliable car. My car has the double sun roof which is great but I honestly do not use it much. The heated seats and heated steering wheel are wonderful in the winter. The seats in the back go down leaving a lot of space when we go tailgating or camping. The center counsel is not very big and it is hard to figure out where to put things. It is not designed very well. The gas mileage is pretty good for a crossover/SUV. I have had it for 4 years and have been over all happy with it!